As I have been making my healthy snacks and posting clips of them on Instagram, a few of you have asked what I'm making or for the recipe. 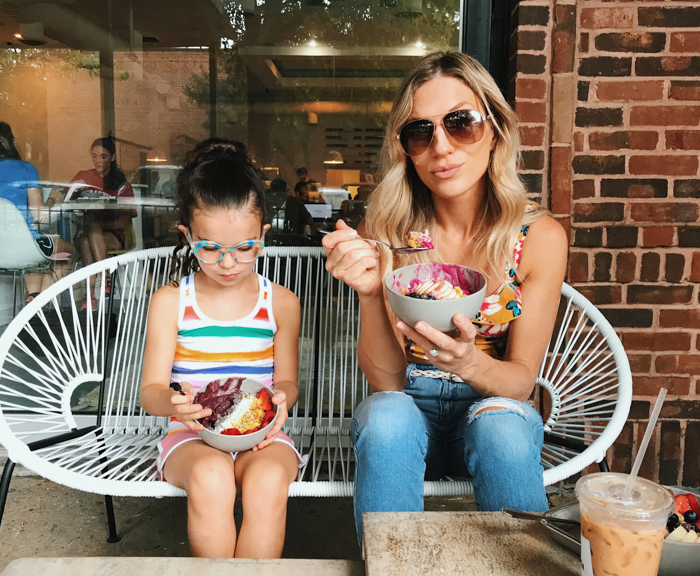 So I thought I would share this post that contains some of my favorite go-to healthy snacks. AND the recipes. I eat these in between meals. (Everyone is different and depending on your goals, your eating should reflect that). For me, I eat 6 small meals a day. 3 of them are breakfast, lunch and dinner. The other 3 are usually some of the things you see below. If I don't work out, then sometimes I leave out a snack. If I work out harder than usual, then I might eat an extra snack. Here are some ideas for you all. And don't forget to drink that H2o throughout the day too!! 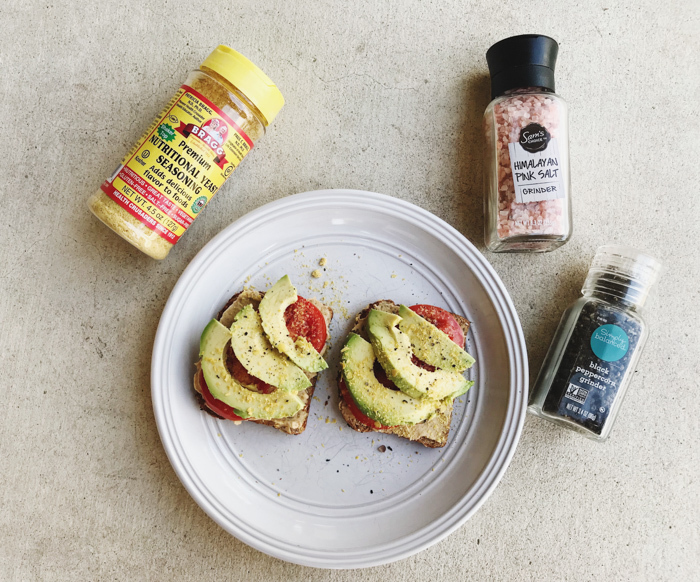 Avocado, Hummus, Tomato Toast. This is one of my favorite healthy snacks. Sometimes I even eat it as a lunch. It's super simple and packed with goodness. I usually use Dave's Killer thin sliced bread which is 60 calories per slice. The other variation that I use is to sprinkle Pink Himalayan Salt, Pepper and Nutritional Yeast on top. But the basic recipe is HERE. Frozen Greek Yogurt Bark. This is actually Scarlett's favorite snack but I've found myself grabbing it as well. The great thing is that you can add anything you want into the greek yogurt before freezing. I do this recipe HERE because Scarlett loves it, but you can leave out the dark chocolate chips and do all fruit if you like. 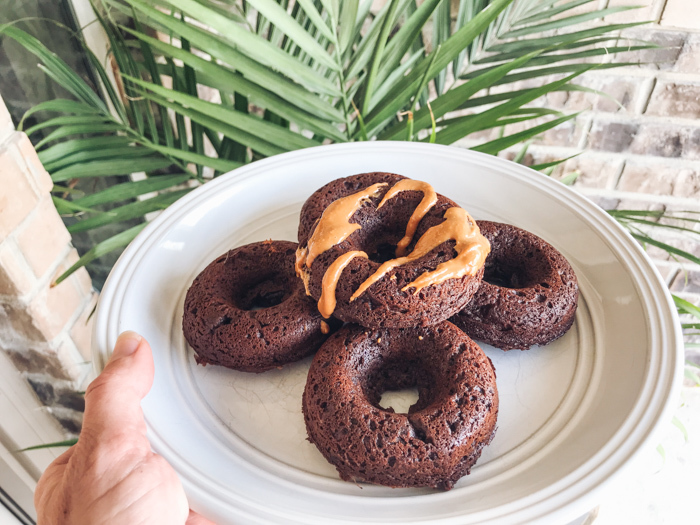 Tone It Up Protein Donuts. Can I just say that these taste too good to be true!! I have to really be intentional about only eating 1 of these at a time but it feels good knowing that I'm eating something healthy, clean while still being able to satisfy my cravings. You will NOT be disappointed by these. Try it HERE. Apple slices with Drizzled Peanut Butter and Dark Chocolate bits? Um...yes please. Try this if you are craving something sweet. HERE. Protein Coffee Smoothie. I love the taste of coffee and this smoothie is perfect for summer. Sometimes I use this after a workout since it does have the protein in it. Try this recipe HERE. 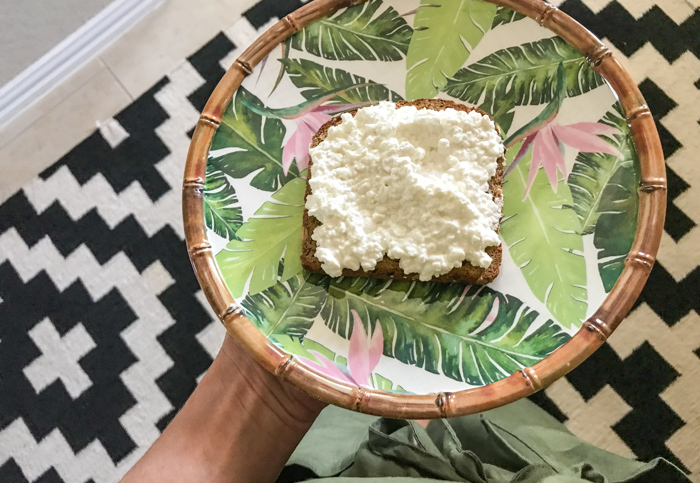 Cottage Cheese on Toast. Simple, basic but still loaded with protein and I eat this weekly. 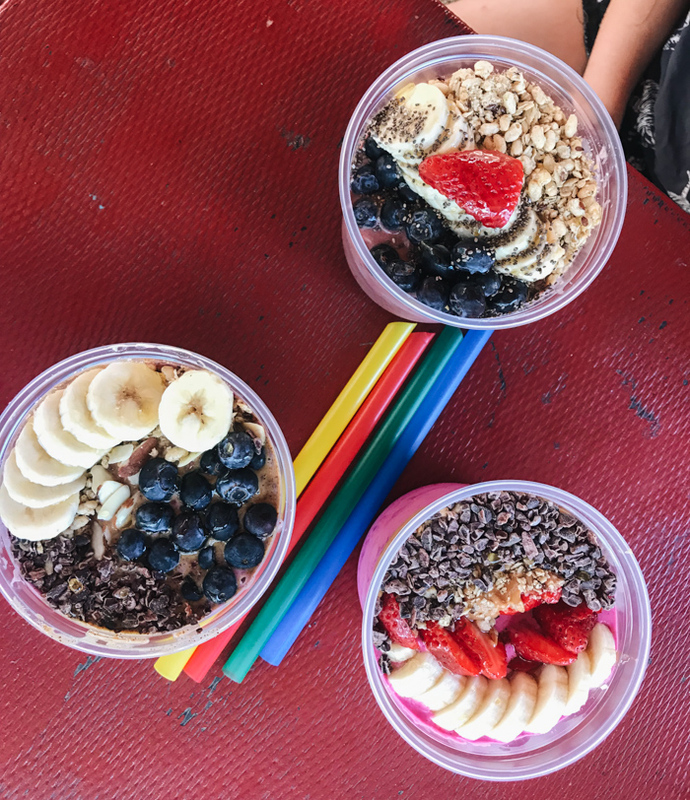 Acai Bowls & Smoothie Bowls. So these could be a meal really, but often I will make these for an post-workout snack. We often grab these when we are out and about and feeling hungry. It beats fast food and they are DELICIOUS! If you want to make your own, try this HERE. Energy Balls. Every time I make these and post them on Instagram, someone asks for the recipe so here are the ones I use most often. HERE. Know that there are SO many different ones you can make. I have a ton of them on my Pinterest. Apple Boats This is a new one that I have been trying and really liking. Simple but different. Take a look HERE. Frozen Greek Yogurt Covered Blueberries. I LOVE blueberries like no other so naturally this is a favorite of mine. I also never would have thought to use honey! Try this HERE. 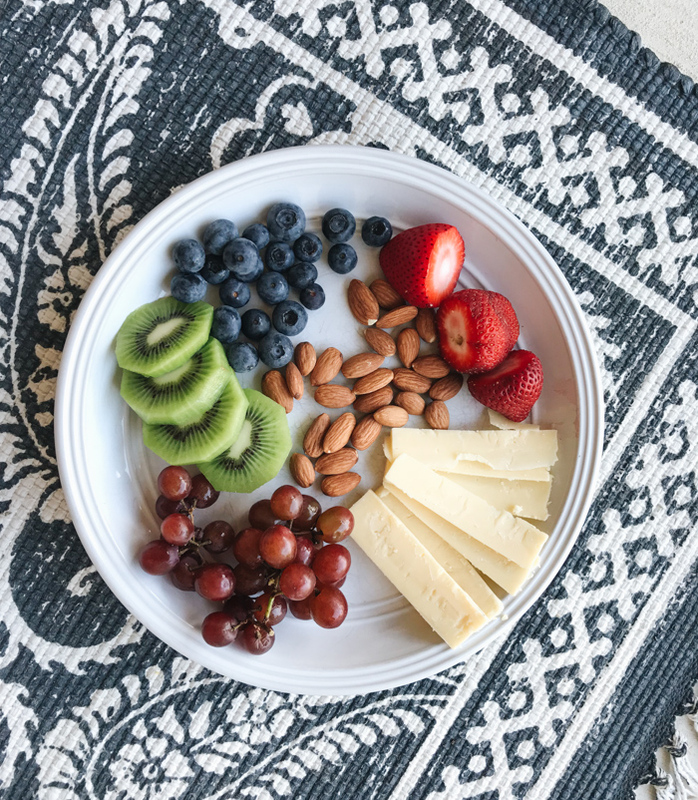 Cheese, Nuts & Fruit. Sometimes you just need to keep it basic. So I will make a mini cheese/fruit board and that will be just as satisfying as any recipe I make. Don't forget that all of these recipes and more are on my Pinterest @laurenrebecca101 or go HERE.